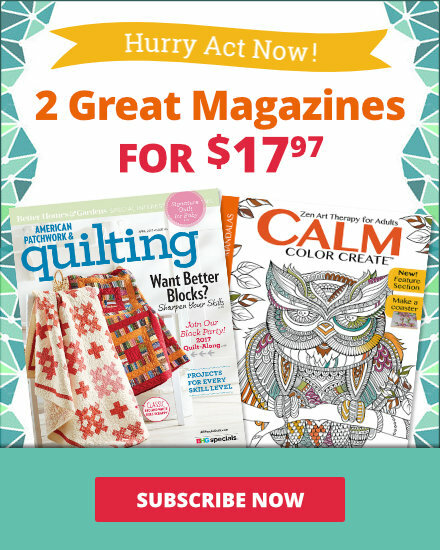 See the featured projects and web-exclusive patterns from the Quilts and More Fall 2014 issue. 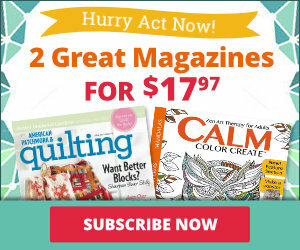 The Fall 2014 issue of Quilts and More is on sale from August 12--November 4. Designer: Carrie Nelson of Miss Rosie's Quilt Co.
Frame a trio of triangle-square projects in standard-size frames for affordable wall art. Use 6"-wide strips to showcase stunning batik prints in a casual maxi skirt. Maxi not your style? Shorten strips to your desired length prior to construction. Mitered corners in the border and binding echo the miter look of the triangle blocks in this sparkling batik table topper. Gold metallic adds shimmer to chevron and dot rectangles. Use the same print in a variety of hues to create an unexpected, yet cohesive, mix of colors. Let’s get to the point! 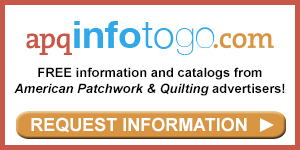 Sharpen your sewing skills while creating a cheery wall quilt suitable for any crafts room. Designer: Joanna Figueroa of Fig Tree & Co. Flying Geese units form a chevron effect through the center of a throw pillow. Covered buttons in coordinating fabrics add a dash of style. Don’t be fooled by the hexagon shapes that bounce across the surface of this fall-inspired throw. The shapes are formed with a trapezoid pattern. 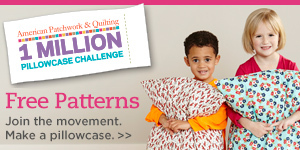 Match the pattern pieces to make hexagons magically appear. Pockets and fast-to-fuse appliqués sprinkled across an easy-to-piece quilt top combine for a terrific little boy’s throw. When it’s time to pack your bags, combine your love for traveling and sewing—adorn your bags with custom luggage tags. Escaping on a tropical getaway to the blue skies and sunny beaches of the Caribbean? Make luggage tags to match the locale of your upcoming destination. Designer Christine Van Buskirk substituted a large ponytail holder for a fabric strap in one version of Fun on the Run. 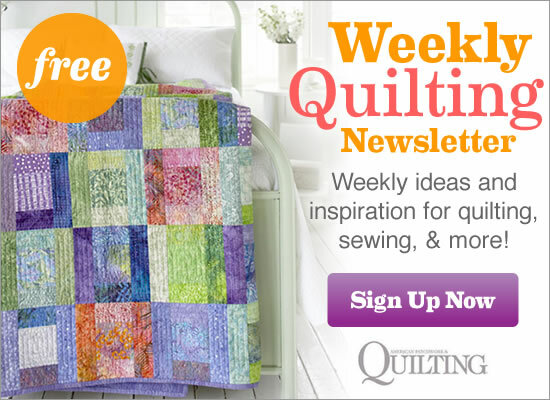 Clever fabric placement in easy-to-sew Rail Fence blocks creates a striking quilt. Tuck some lip gloss, keys, and money into this adorable on-the-go pocketbook. Scared it’s complicated? Don’t be — we show you how to transform a panel print into a throw that welcomes trick-or-treaters of every age. A bit of piecing, easy fusible appliqué,and a few specialty embellishments create an inviting quilt. The extra-long length allows you to wrap it for a fashion-forward look or loop it one more time for extra warmth. You can be snuggly and stylish this winter with a scarf made of cozy plush! Get the free scarf pattern here. Repurpose an old pair of jeans into a hip lunch box!